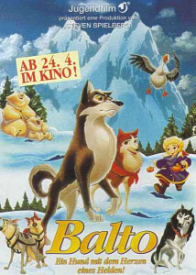 While Universal expands the Balto franchise, Land Before Time-style, into an ongoing series of lamer and lamer direct-to-video knock-offs (which, so far, I have managed to avoid), I remain a fervent fan of Simon Wells’ 1995 original theatrical feature. Produced in London by the Amblimation team (many of which upped for LA when producer Steven Spielberg co-set up DreamWorks), the film is pure quality entertainment. As with Brad Bird’s later The Iron Giant, this is a beautiful film that simply did not find its audience first time around, but thankfully TV screenings and home video have allowed those it is aimed at to discover it for themselves. Universal Home Video put out a handsome LaserDisc edition of the film shortly after its theatrical run, and even though there isn’t a single extra to be found on the disc (except for the THX mastering), the CLV release is at least correctly letterboxed to the original theatrical framing of 1.85:1, unlike the subsequent DVD issue which was cropped to full-frame to match its DTV follow-ups. 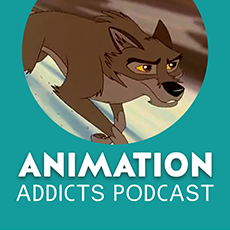 Set during the great snow storm of 1925, Balto follows a half-dog/half-wolf husky through the winter wilderness as he attempts to lead a team through the terrible weather conditions to bring much needed medicine to the town of Nome, Alaska, on the other side of the mountains. It’s an exciting story, and all the more unbelievable for having been based on a true event, although the plot has obviously been reworked to play up the role of our main hero character and take advantage of the animation medium. 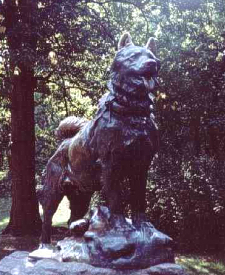 However, Balto was a real dog and the events depicted in the film did happen, and even though many may know the eventual outcome there is still an air of real drama and uncertainty as to whether Balto can pull of his arduous trek (though it was probably, in “real life”, as much down to the husky riders as well as the dogs that the medicine arrived in time). The presentation of the 78-minute feature on the disc is more than adequate, although being a CLV pressing, it is not as sharp as perhaps a CAV edition would have been. It’s framing is still preferable to the DVD of course. After a little checking, I found that the DVD’s soundtrack is the same Dolby 4.0 Surround track as found on this disc, although the LD’s uncompressed PCM track wins out over the DVD’s quieter audio. The sound here is very good, with a decent mix that still sounds very modern, and James Horner’s score sounds different enough from other films he has composed that it won’t seem too familiar (steering away from a certain bug-bear of mine when it comes to Horner’s music). 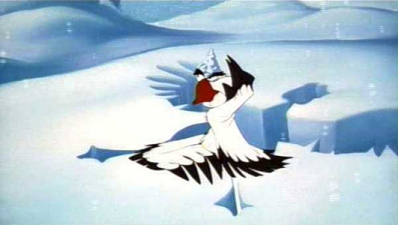 After a while, the film becomes your basic animals in the frozen wilderness fare (though none the less exciting for it) and as we get a snowstorm, ice cracks and avalanches the speakers roar into action. Something both the LD and the DVD missed out on is a silent film made about the courageous dogs in the 1920s. This 30-minute film would have been very interesting to see and provided a historical perspective on the events described. There was also a very good “making of” documentary produced at the time, which was hosted by Simon Wells himself and included some of this silent footage, along with the story of producing the film, and newsreel footage of the real Balto. 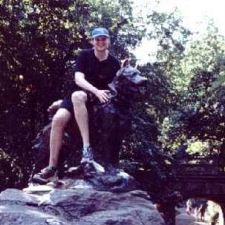 I’m sure there are some viewers out there like me who would have liked to see what happened after the film’s story had played out (the huskies ended up living out their days in Cleveland Zoo) and these omissions are a missed opportunity to educate and inspire.